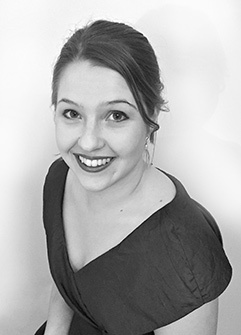 Samanta is currently completing her final year of a Bachelor of Music in Voice Performance at the Sydney Conservatorium of Music, under the tuition of Stephen Yalouris. ​In 2015 she made her orchestral debut in Rockdale Opera’s Trial By Jury, followed by her operatic debut as Despina in Cosi Fan Tutte with Operantics. Samanta has this year performed the roles of Lucy in Menotti’s The Telephone, and Mary Crawford, in the Australian premiere of Jonathan Dove’s contemporary opera Mansfield Park. Later this year, she will also re-visit the role of Despina with the Penrith Symphony Orchestra, perform Handel’s Alexander’s Feast at the Blackheath Choral Festival. Samanta is very excited to be working with Gilbert and Sullivan Opera Sydney in the title role of Patience.